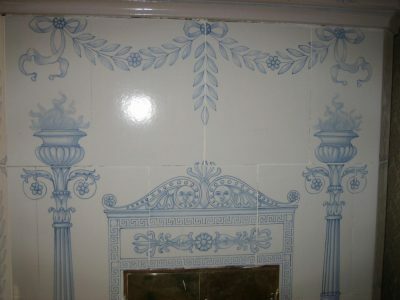 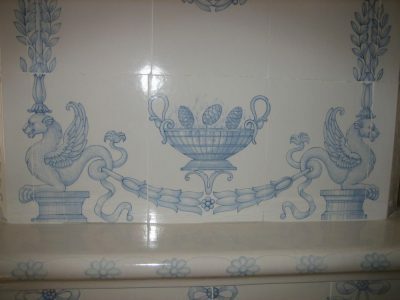 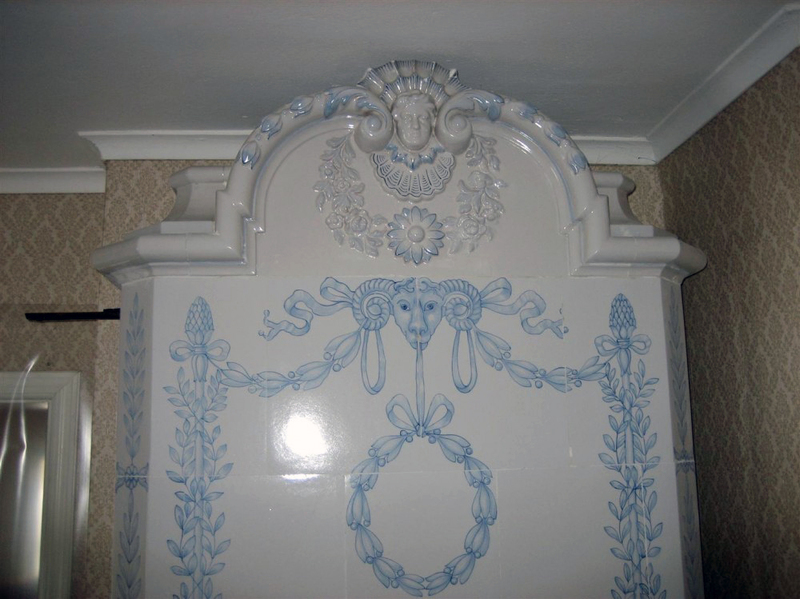 A straight wall stove with blue Empire style inspired decorations. 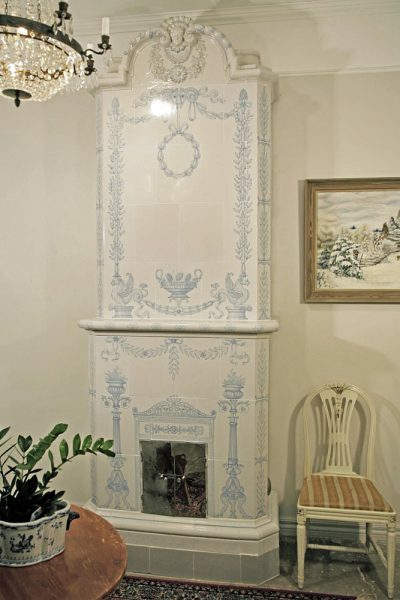 The Kakelugn is made at the Rudholm tile stove factory of Norrköping circa 1900. Height 300 cm.